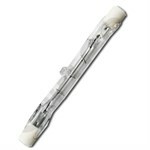 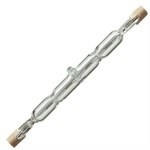 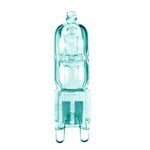 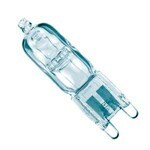 We stock an extensive range of Halogen Light Bulbs in a variety of styles, colours, caps and wattages. 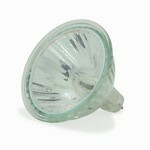 Excellent colour rendering qualities and clean white light make Halogen lighting very popular. All halogen lamps are fully dimmable and produce 100% light output as soon as you flick the switch. 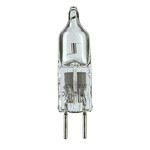 There are two main categories in Halogen lamps - low voltage and mains voltage. 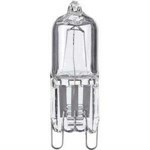 Low voltage halogen lamps produce a superior quality light and can be more efficient, yet they do require transformers, so are usually recommended for commercial use. 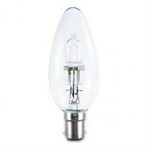 Mains voltage lamps don't require transformers and are recommended for domestic use with minimal maintenance.